What is Receiving? And more importantly, what stops us Receiving? These are questions I have studied in depth over the past few years, and my appreciation of the importance of receiving has changed and grown tenfold in that time. My last article delved into receiving Earth energy and how our amazing conscious Earth can contribute to our souls, assisting us in maintaining the flow of synchronicity. But the Earth’s contribution is just one part of the amazing possibilities available to us in learning to receive and raise our vibration. 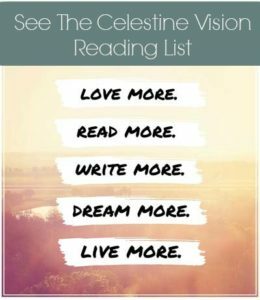 When I first read The Celestine Prophecy, the insights addressing how we raise our vibration fascinated me the most. The First Insight teaches us that our energy provides the platform for synchronicities to show up for us, each experience enhancing our potential to exist at a higher vibrational level. For me, the main challenge in achieving this potential lies largely in the ability to receive from everyone around me, in order to attain and maintain the Synchronistic flow. This is a challenge made significantly more difficult by this reality and the physical and emotional limitations it places on us. This reality is everything which has been forced upon us by tradition and limited our spiritual growth since the day we were born. It is everything we have been told was the norm, everything which is expected of us by our family, peers, teachers, colleagues, and everything we are judged by and for: everything we in this human experience have historically been frightened to go beyond. The point of view that if you can’t see it, touch it, feel it, or hear it, then it exists only as the wacky ‘woohoo’ imaginings of dreamers. This reality is rife and filled with judgement, expectations, separation, and rejection. Having trained in various modalities, energy therapies, and treatments, I have encountered huge amounts of resistance to and judgment of ‘alternative’ therapies and particularly of the idea of a universal energy. Those opposed to and/or threatened by it will do anything to demean, ridicule, and dismiss it as airy-fairy nonsense with no scientific basis. For me personally, this staunch unwillingness to accept that there might be something ‘more’ to life is a real bugbear! 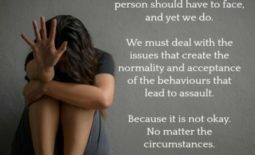 In the past, I’ve found it very difficult not to go into anger or frustration with this and I’m sure many of you will agree or have had situations, experiences, or people in your lives which make you feel the same. But what if that judgement facing you is there to lead you to key synchronicities in your journey? Are you in conscious creation or unconscious resistance? One of the major blocks to receiving is dealing with judgements, and the uncompromising opinions of those doing the judging. We face judgement in all areas of our lives, experiences, and relationships. It is one of the biggest killers of awareness and consciousness on the planet, putting us into unconscious resistance – as within judgement there is no space for creation, movement, or awareness – there is only solidity. In the face of judgement, we will often find ourselves either aligning and agreeing with it to avoid conflict, or resisting and reacting to fight our corner. But when we go to either the negative or the positive polarity, we are enabling that point of view and making it more solid and real. Either way, we too, are in judgement of the rightness or wrongness of the opinion we face. As a result, we automatically put up energetic barriers, shut off our awareness, and subsequently limit the synchronistic flow. Consciousness includes everything and judges nothing. The more energy, space, and consciousness we are willing to BE, the more the energy can flow through and around us unhindered, guiding us on our journey. 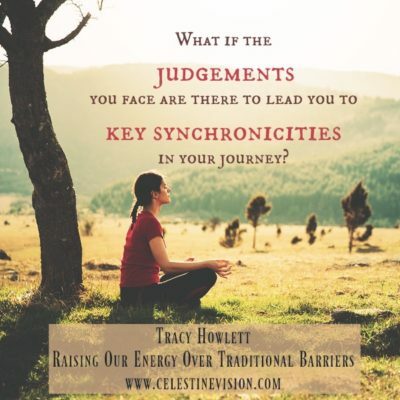 Learning to drop our energetic barriers will enable us to move beyond judgement into conscious creation, remaining open to the flow of synchronicity from all directions, people, and places.